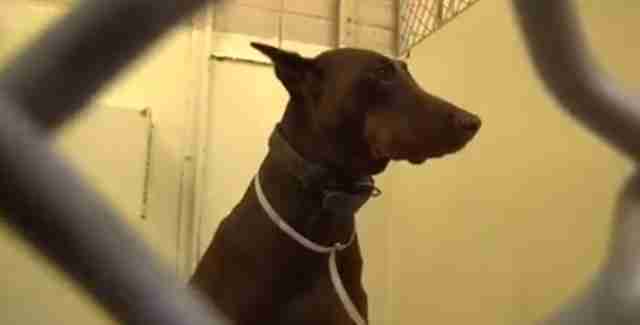 Senior dogs are often the ones in the most danger at high-kill shelters - and two sweet senior Dobermans have already been in one for a month. 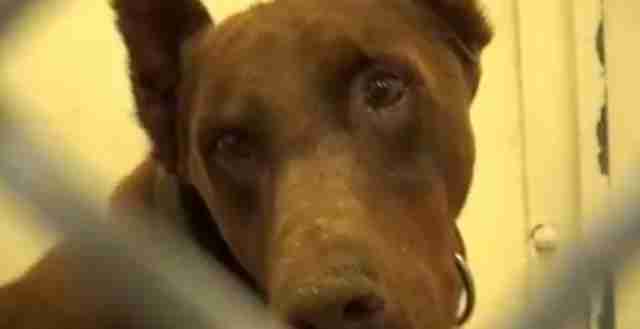 The pair of senior siblings were surrendered to the Carson Animal Shelter in California after their owner was arrested. Despite being beautiful, sweet dogs, they have still not been adopted, and their fate grows more uncertain every day they remain in the shelter. As if shelter life were not already stressful enough, these siblings are being kept in separate enclosures, meaning they have now been apart for about a month. If one of these dogs is euthanized before they both have a chance to get adopted, the other one will be absolutely heartbroken. The two siblings are about 8 years old and remarkably similar, both in looks and in personality. Both have had videos (and photos) posted on a Facebook page called Saving Carson Shelter Dogs, and the videos are practically identical. Both dogs were very calm and quiet as they hung out in their enclosures, not contributing to the chaos at all. Both were also very affectionate with the person making the video, nuzzling her and showing off what loving dogs they are. 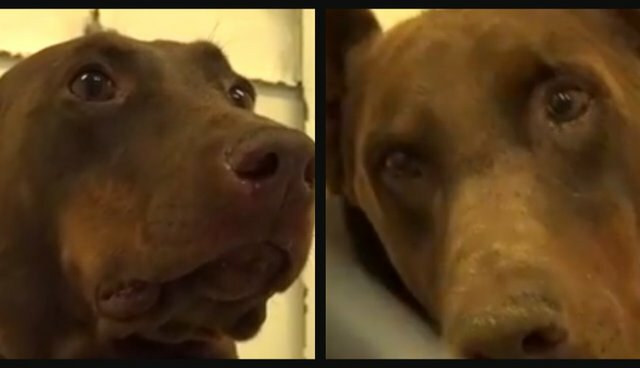 These dogs are calm and healthy, and it seems as if they were given a lot of love in their former home - and that's what they are both hoping to find again, together. It's extremely difficult to get senior dogs adopted, let alone two siblings. Keeping these two Dobermans together is clearly what is best for them. If you or anyone you know would be interested in adopting this senior brother and sister pair, you can contact the Carson Animal Shelter at 310-523-9566. Enter your email to receive a free Dognition Assessment, exclusively for Dodo readers: *By entering your email you will also receive The Dodo's daily newsletter, and you can opt out anytime. Click here for more about Dognition.